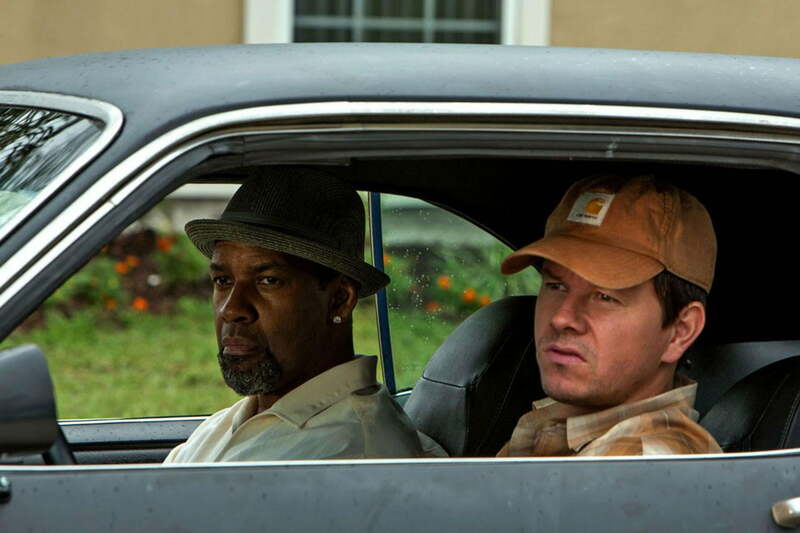 Denzel Washington and Mark Wahlberg buddy up for the first time in Baltasar Kormákur's action-comedy, '2 Guns'. 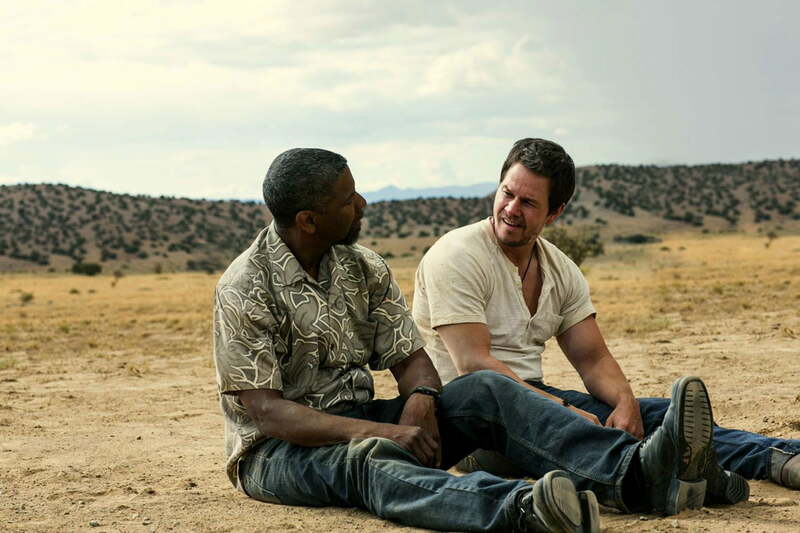 2 Guns is in a precarious place as a summer movie. It’s got enough star power in its ensemble to justify the mid-year release, but the scale isn’t quite “big” enough to settle it in alongside blockbuster heavies like Pacific Rim or Fast and Furious 6. That puts it more on the level of something like fellow ensemble Red 2, only it doesn’t have the built-in sequel audience to lean on. What it does have is personality. Lots of personality. 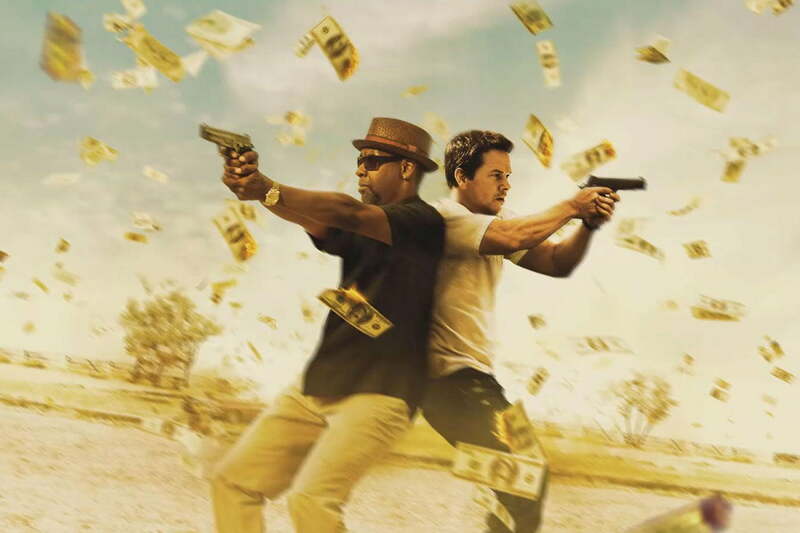 2 Guns is the latest stop in Hollywood’s ongoing creative pillaging of the comic book world for summer action fodder, though this source material is obscure enough that ignorance is a forgivable offense. It’s the cast that you’re there to see, and this bunch is clearly having such a good time together that you can’t help being swept up in it. 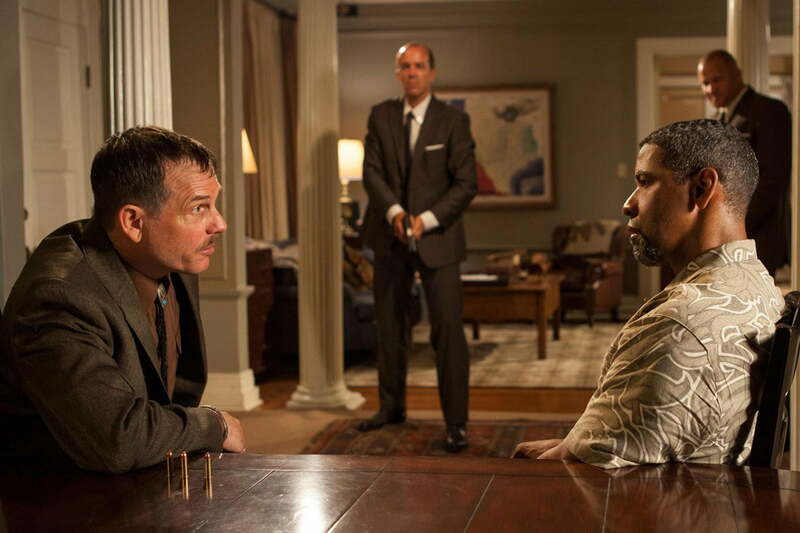 At the core of the ensemble are stars Denzel Washington and Mark Wahlberg, paired up for the first time in what amounts to an action-fueled buddy comedy. It’s a perfectly odd coupling; Washington’s cool and collected schtick counterpoints well to Wahlberg’s wide-eyed wisecracker. You pick up on it immediately, as the two saunter into a sleepy, small-town diner lobbing barbs back and forth in the movie’s opening minutes. The plot is of the “heist gone wrong” variety. Undercover DEA agent Bobby Trench (Washington) and undercover NCIS operative Marcus “Stig” Stigman rob a bank filled with dirty money for perfectly aboveboard reasons, each unaware of the other’s true identity. The job goes off with no troubles, but their $3 million take turns out to be $43 million. What should have been a simple wrap-up for both turns out to be a frame-up, and it’s not long before the two are forced into an uneasy truce. To say more would spoil the fun of Blake Masters’ intricately crafted script. There are many layers to this story, twists upon twists that pile into a fast-paced plot that rewards the attentive moviegoer. This is tight, uncompromising storytelling; let your attention drift, and you’ll surely miss something. Fortunately, there’s little here that bores. We’ve already established that Wahlberg and Washington play well together, and they’re backed by an equally effective ensembles. Bill Paxton is a noteworthy highlight, imbuing his typically disarming smile with a hefty dose of menace in the role of a smooth, Southern spook. In one particularly memorable scene, Paxton’s Earl interrogates Trench with a tense, non-lethal game of Russian roulette. Their patter-filled posturing becomes your sole focus as scenery is chewed all around them, but it’s Paxton farewell monologue riff on Trench’s impressive… uh… package that steals the scene. It’s a gleefully villainous turn for this nice-guy actor, a shout back to Paxton’s colorful work from the days before he was swallowed by the HBO “It’s not TV” machine. Bill Paxton is a noteworthy highlight, imbuing his typically disarming smile with a hefty dose of menace in the role of a smooth, Southern spook. 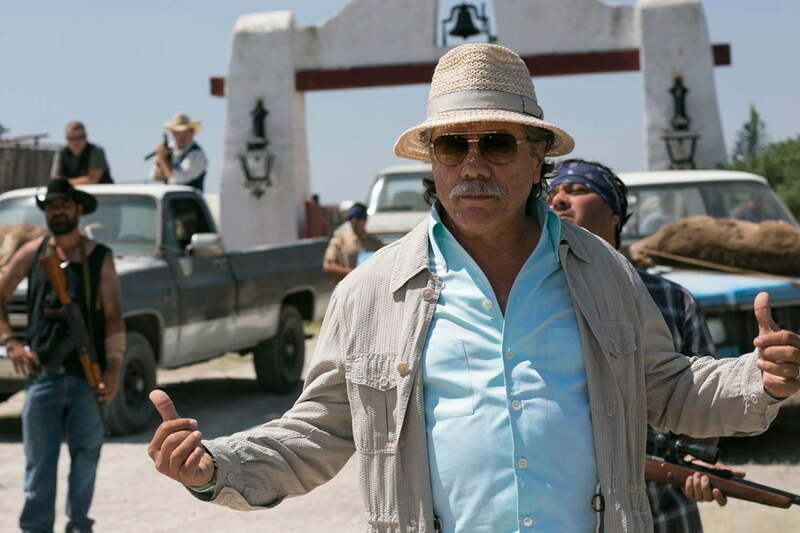 Lesser nods to additional support from Edward James Olmos, as a Mexican drug lord, James Marsden, as Stig’s snakey commanding officer, and Paula Patton, as Trench’s handler-slash-former lover Deb. None grab as much screen time as Paxton does, nor do they leave as memorable a mark, but each has an important role to play the complicated web that is 2 Guns‘ plot. As a result, we’re left with a supporting cast that is necessarily rich with talent. They all amount to largely one-note caricatures – really, that goes for the two stars as well – but they’re drawn so well that it doesn’t matter. These roles could easily have been throwaways, but for the talents of the three actors. A special nod as well to Fred Ward’s solitary scene, a glibly commentary-ridden run-in with Wahlberg; we just don’t see enough of the likable Remo Williams star anymore. The swirling talents and spectacle of 2 Guns are held together under the capable direction of Baltasar Kormákur, the Icelandic filmmaker who is best known for his more serious work on A Little Trip to Heaven and 2012 Best Foreign Language Oscar contender The Deep. There’s an effortless flow to the unfolding story, and credit the director for keeping his performers in check and knowing which scenes string together best. Washington’s Bobby Trench plays an undercover DEA agent who ends up on the run after an assignment goes very, very wrong. Kormákur naturally puts the majority of the focus on his Washington/Wahlberg coupling. Why wouldn’t he? The two actors share an easy chemistry that, coupled with their natural charisma, is never dull to watch. You get the sense that Kormákur didn’t have to do much to tease out their witty back-and-forth; in truth, he probably didn’t. The director ultimately assembles all the pieces together well. With so much talent arrayed around Washington and Wahlberg, temptation must have been high for Kormákur to inflate the running time with deeper development for the supporting cast. He never succumbs, however, never forgets that his secondary players exist in service to the plot, not vice versa. 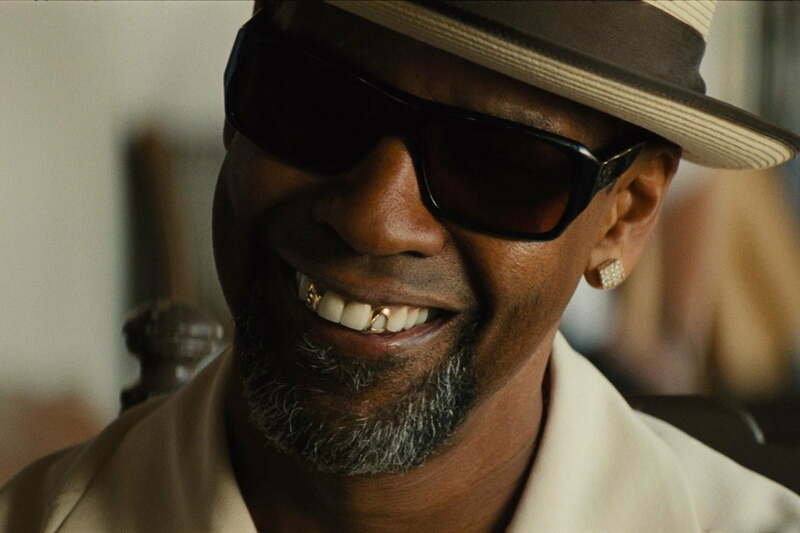 2 Guns is as light as light moviegoing fare can be, but with some heavy talent to back it up. The story explodes ever-forward under Kormákur’s capable direction, carried along effortlessly by the witty Washington/Wahlberg repartee. It lacks the hype and scope of the summer blockbuster that summons armies of moviegoers out to theaters during the mid-year months, but there’s a tight focus on fast and fun storytelling that makes 2 Guns well worth your time.